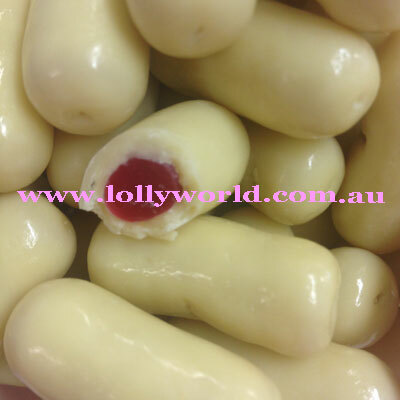 White Chocolate Raspberry Bullets by Everfresh the quality chocolate Australian company. Smooth creamy white chocolate coating sweet raspberry licorice is the perfect combination. Just try and eat a few.